Spray the muffin cups with non-stick spray, butter, or coconut oil...OR place a cupcake liner in each cup for an easier clean-up. Place one ham slice in each cup, it may fold over the top. 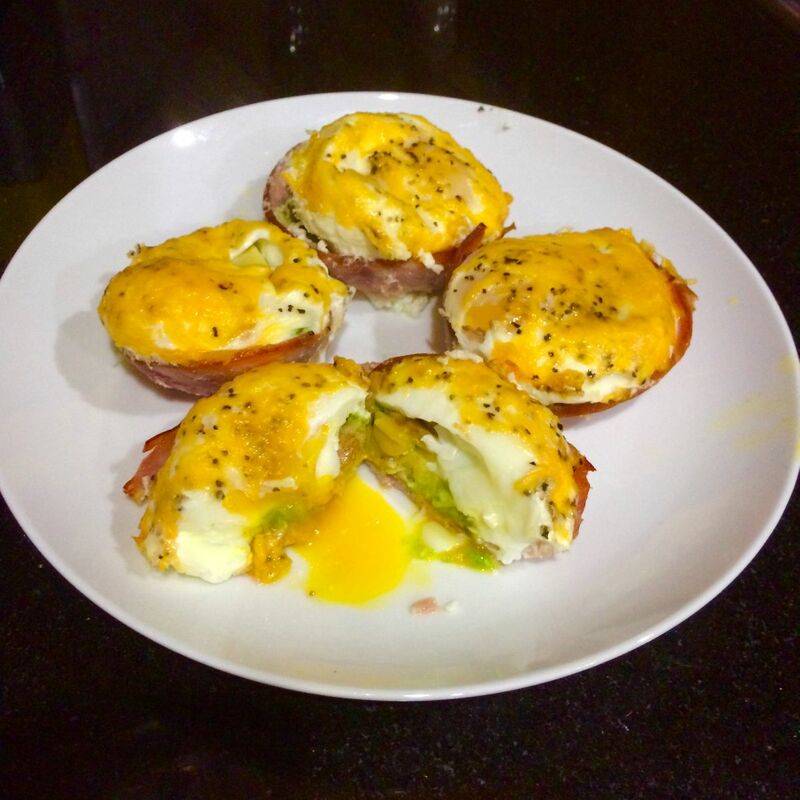 Put a chunk of avocado to fill the bottom of each ham cup. Break an egg and drop over the avocado in each cup. Sprinkle a dash of salt & pepper on the top of each cup. *Go easy on the salt since the ham (and the optional cheese) will have a ton of sodium to add flavor already. Optional: sprinkle a little cheese on top of each cup. Bake at 350 degrees for 15 mins or until the whites are cooked but the yolk is runny.